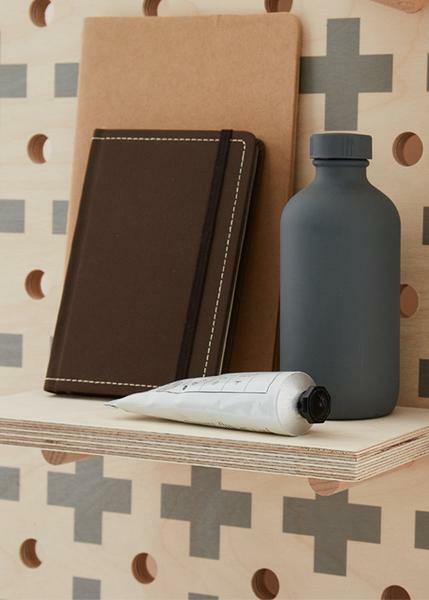 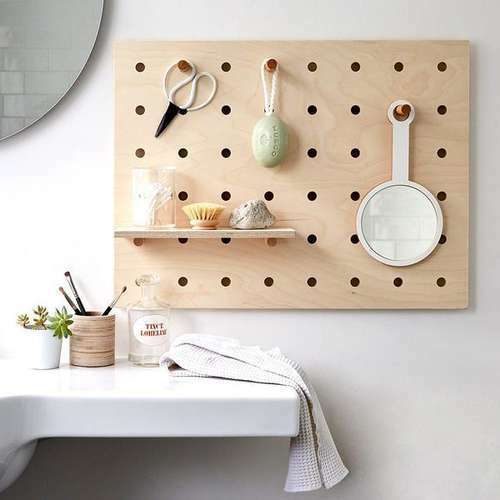 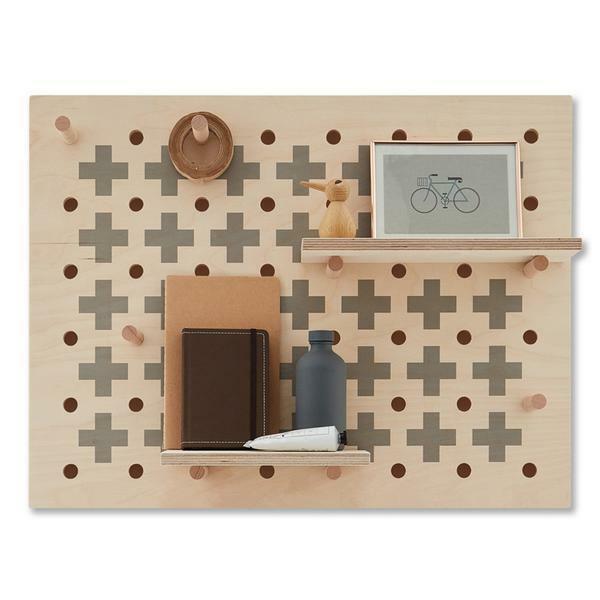 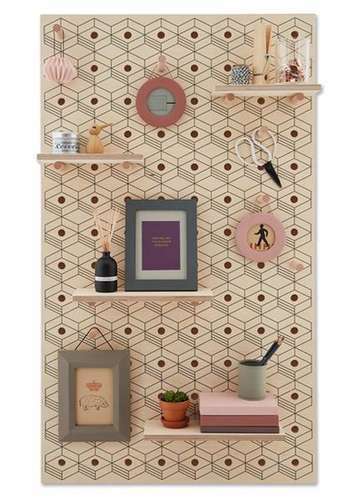 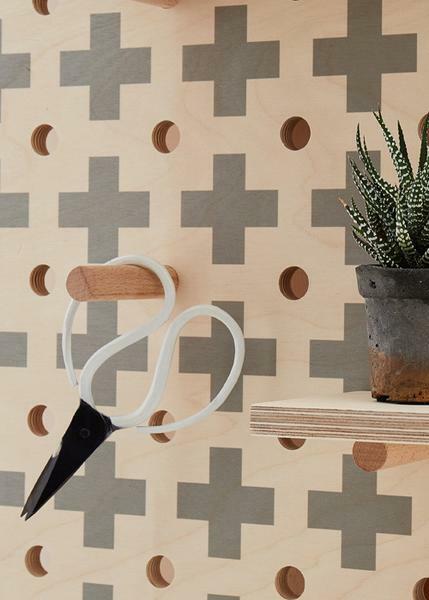 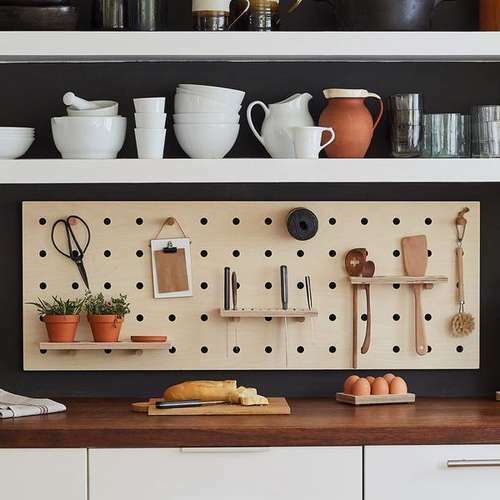 Contemporary cross pattern pegboard designed and made in London using sustainably sourced FSC & PEFC wood. 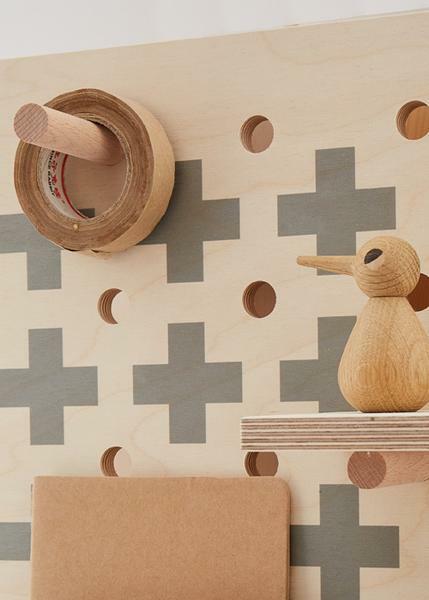 The colour combination of the pale, warm grain of the plywood and the soft grey pattern creates the perfect backdrop for collections of kitchenware, toys, stationery and craft supplies. 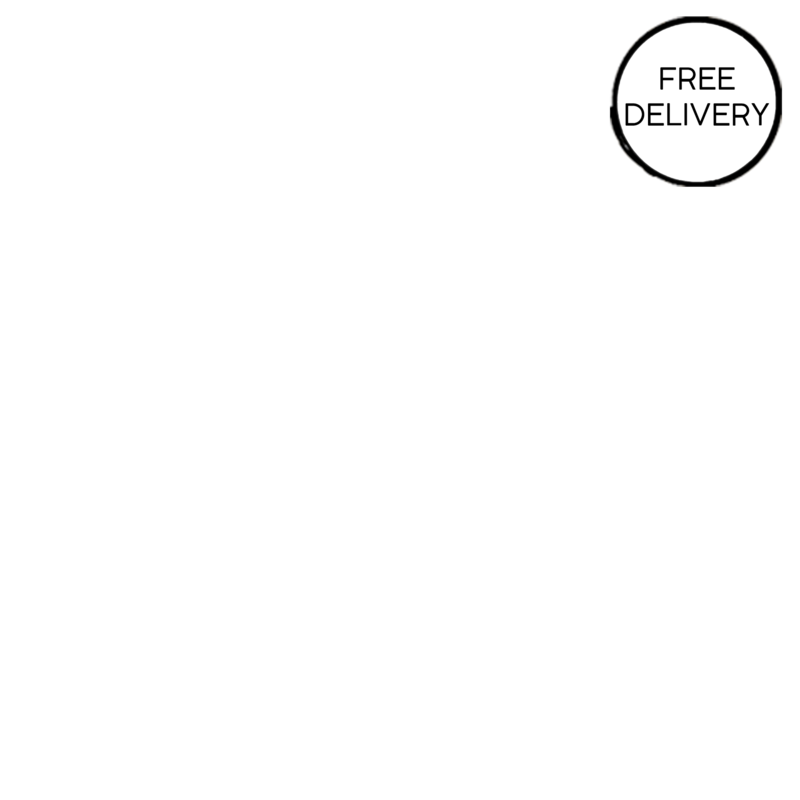 Dimensions - W 66 cm x H 50cm. 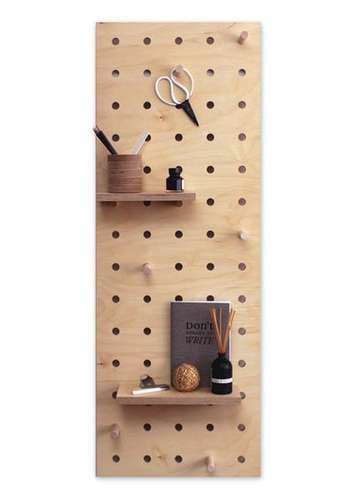 If you have any questions about this pegboard please feel free to contact us here.